All of the beauty that Cyprus has on dry land is matched under its cerulean waters: the island is home to one of the world’s best diving sites, located about 10 minutes from Larnaca. The wreck of the Zenobia, a 10,000 ton (Ro-Ro) ferry that sank off the shores of Cyprus in 1980, is one of the world’s best preserved shipwrecks and a top spot for divers visiting the island. 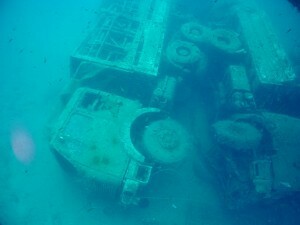 Located 43 metres down, on the seabed, the Zenobia was built to transport cargo in the eastern Mediterranean, however it sadly sank during its maiden voyage when the computer system malfunctioned and began pumping water into the ship’s ballast tanks. Although attempts were made to save the Zenobia and the 104 articulated lorries that were strapped to its decks, none were successful and the ship sank two days after it began taking on water. The ship has been sitting at the bottom of the ocean for over three decades, with its cargo still on board and, thanks to a “no removal” rule that has been strictly followed by divers, most of its original fittings remain as they were when the ship went down. At the far end of the wreck, near the propellers, you will find a lorry that was transporting eggs to Syria, with its cargo still perfectly intact. Mind your feet as you dive, as many clumsy divers have crushed some of these wondrous underwater eggs! Diving inside the ship is not only allowed, it’s positively encouraged; taking the lift shaft down to the canteen, you will see the Zenobia exactly as it appeared 32 years ago. 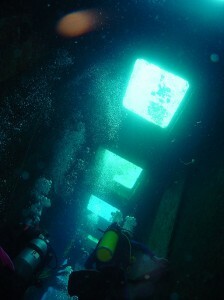 It’s a fascinating and somewhat creepy tour – a little more Mary Celeste than most diving excursions. The wreck houses a great number of different fish and other sea creatures: barracuda are common in the area, as are shoaling fish. If you’re lucky enough to dive as a submarine tour goes past the wreck, you could catch a glimpse of tour guides diving out to feed the fish. 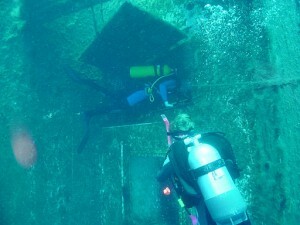 The Zenobia truly is a wonderland under the sea and a dive to the wreck is well worth the airfare to Cyprus alone. For those who want to spend one day below the waves before exploring the rest of the island, Larnaca harbour can be easily accessed by shuttle from Limassol or Paphos. Have you visited the wreck of the Zenobia, or any other shipwrecks? Do you have any tips for new divers? Get in touch via the comments.